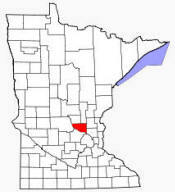 Sherburne County is a county located in the U.S. state of Minnesota. As of 2000, the population was 64,417. Its county seat is Elk River. 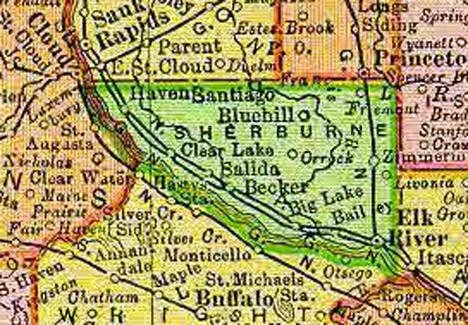 According to the U.S. Census Bureau, the county has a total area of 451 square miles (1,168 km²), of which, 436 square miles (1,130 km²) of it is land and 15 square miles (38 km²) of it (3.26%) is water. As of the census of 2000, there were 64,417 people, 21,581 households, and 16,746 families residing in the county.